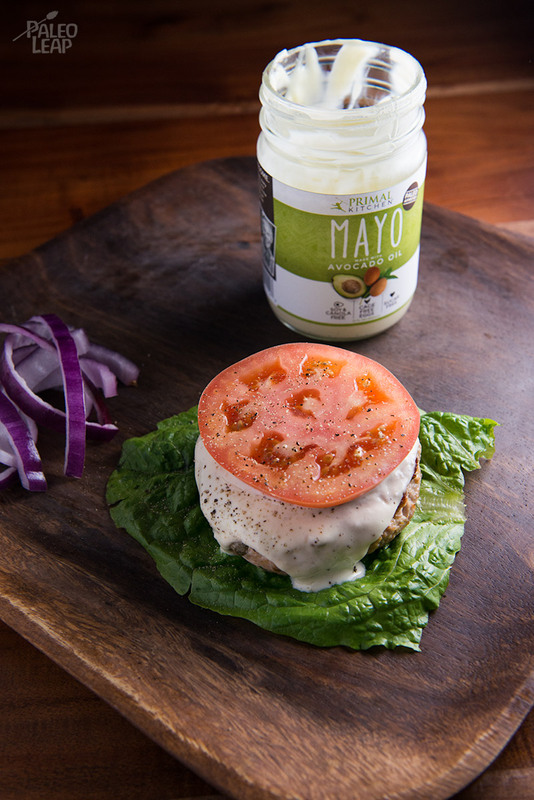 Mayonnaise is the all mighty sauce for Paleo food. It’s creamy, delicious, full of healthy fats and it can be a carrier for just about any flavor. That is, if you make it yourself at home with the right ingredients. Until recently there was no way to get a truly healthy mayo from the store. Even the ones that are supposedly better are made with canola, safflower or soybean oil, which is not acceptable by our standards. Making it a home is great and rewarding, but sometimes the convenience of a pre-made mayonnaise could help so much. 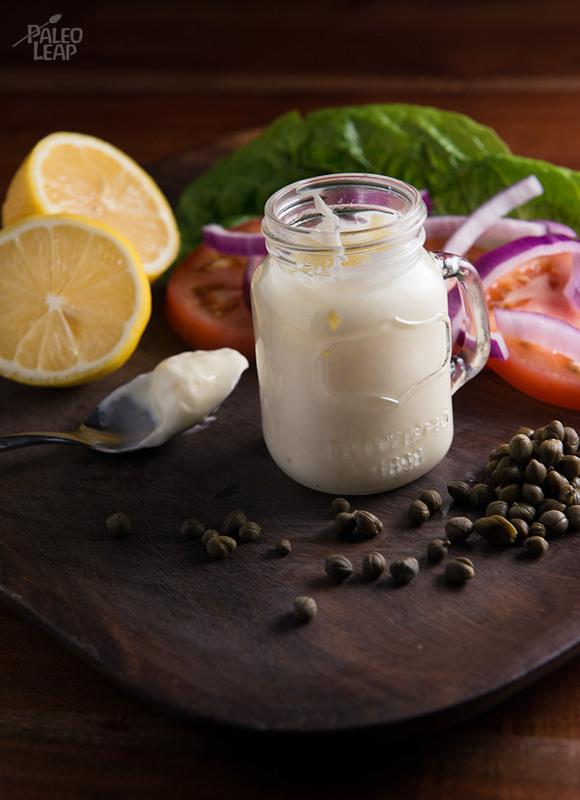 Mark Sisson and his team at Primal Kitchen have now decided to change that and offer a true Paleo mayonnaise. It’s made with avocado oil, cage-free eggs, vinegar and sea salt. They were kind enough to send us a jar, so we had to try it out right away. One word: delicious! Exactly the taste and texture you would be looking for in a mayonnaise, but without the bad ingredients. We used it to whip up a creamy Caesar dressing to use on some chicken burgers. It’s our little play on deconstructing a Caesar salad and turning it into a burger. The chicken burgers themselves have this special flavor from the capers and coconut aminos, and with the Caesar dressing on top it makes the whole thing truly decadent. SERVES: 4 PREP: 20 min. COOK: 10 min.